Great (artsy) things are happening at School on Wheels! For the last couple of years, tutoring has been focused mostly on academics – we’ve always wanted to make sure students are proficient in math and language arts, since those are the two subjects that kids in grades 3-8 are tested on for ISTEP (Indiana Statewide Testing for Educational Progress). To reach this goal, we have created a ton of curriculum around these two primary subjects, including our Tutor Toolkits and ISTEP practice cards. 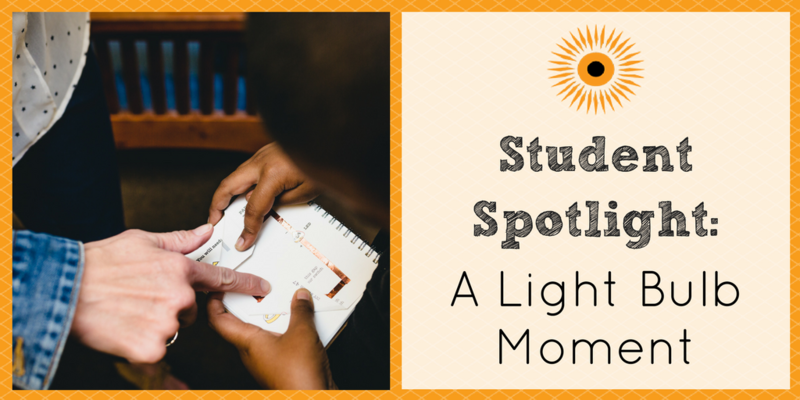 With all of this knowledge of the importance of arts education for academic and social success (and two program team members with an arts background), we knew we had to find a way to include art in tutoring in a more formal way. Kris, our Program Assistant, has been hard at work creating new Creativity Kits that will be used during the tutoring hour. Similar to the Tutor Toolkits, the Creativity Kit is a portable container with various cards with activities to complete; all of the materials needed to complete the activities are contained in the kit itself. Thanks to the following grant funders for your generous support in making these kits possible! Previous StoryScience Comes to Tutoring!